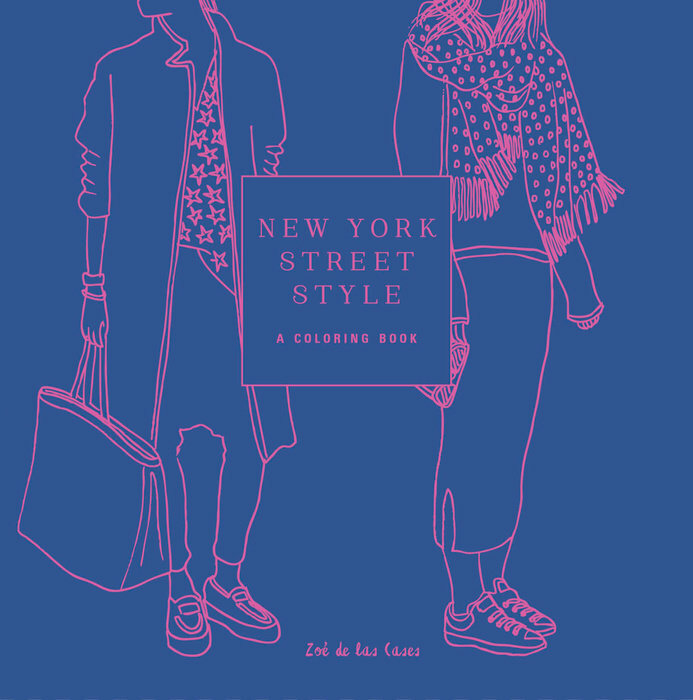 My first book by Zoe de las Cases was Paris Street Style. 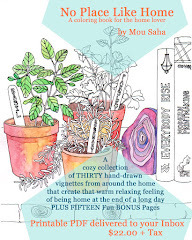 I had loved her loose drawings depicting various scenes from the city along with pages dedicated to patterns. I was excited to see her new release New York Street Style. 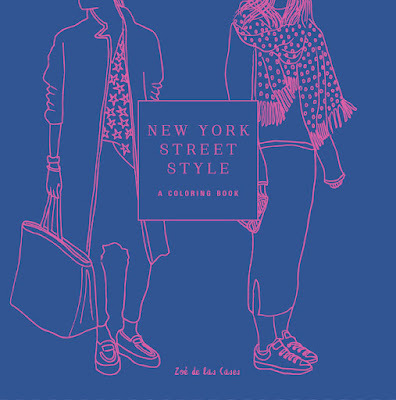 As I turned the pages, I couldn't help smiling, seeing the various stylish expressions that I have seen walking in the streets of New York City. There are just enough details and yet the drawings are so laid back. 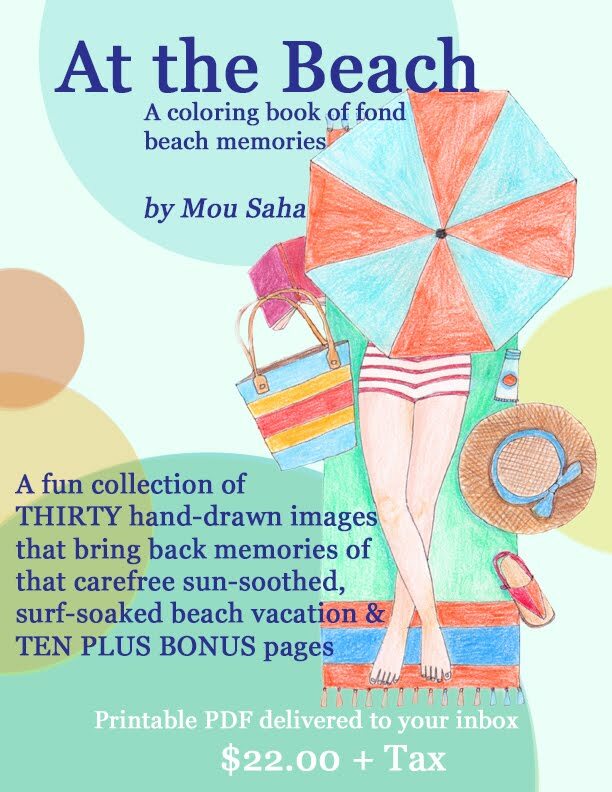 I know I'm going to enjoy coloring this one as would anyone who is fond of coloring books! I am fascinated by intricately cut papers. 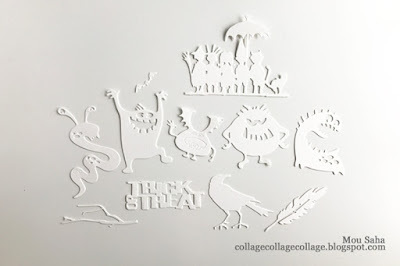 Most of us don't have the time it takes to cut papers into such fine details. 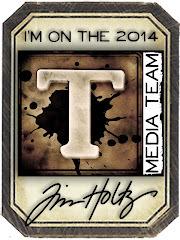 So, the next best thing is to use die-cuts to do the heavy lifting for us. 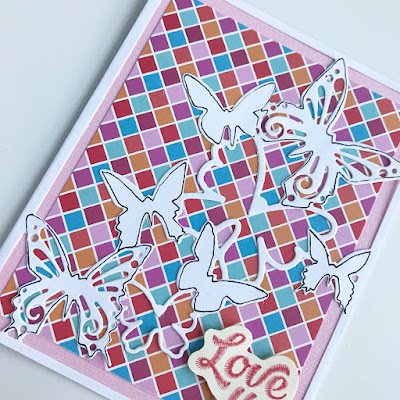 In the card above, I used a detail butterfly die. You can follow along to see how I put the card together. Let's start by looking at the supplies. Trim cardstock to 8.5" x 5.5". 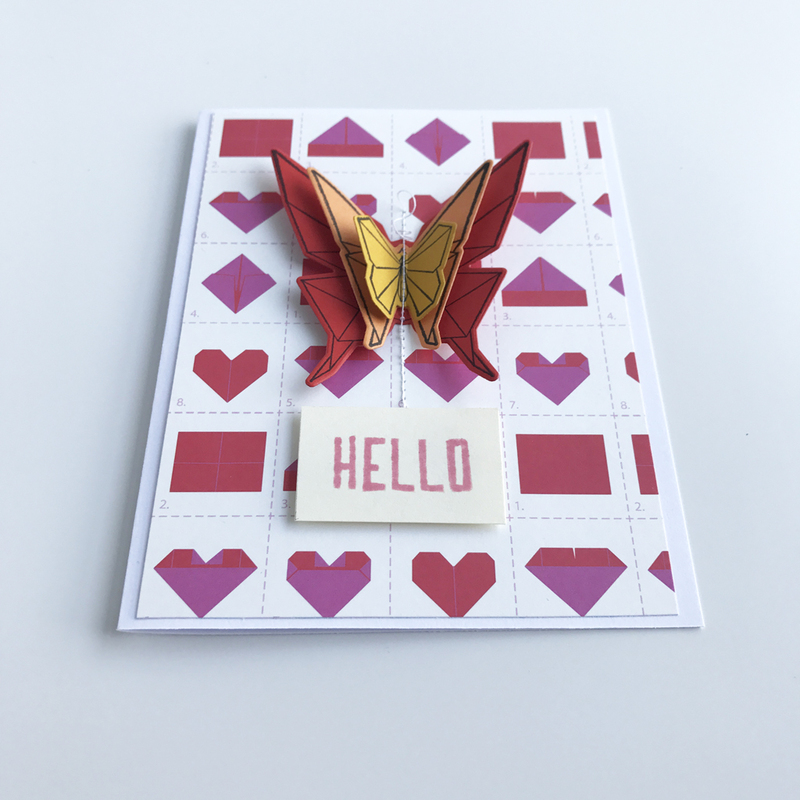 Fold in half to make 4.25" x 5.5" card. 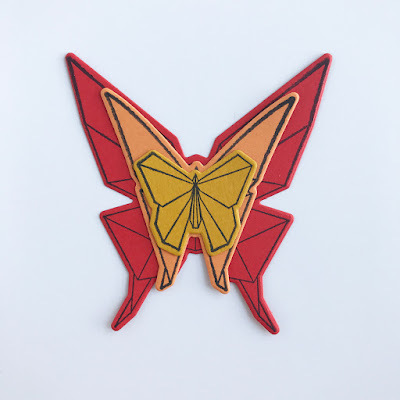 Open up the card and place the All Aflutter Butterfly die blade side down at about the center of the front flap of the card. 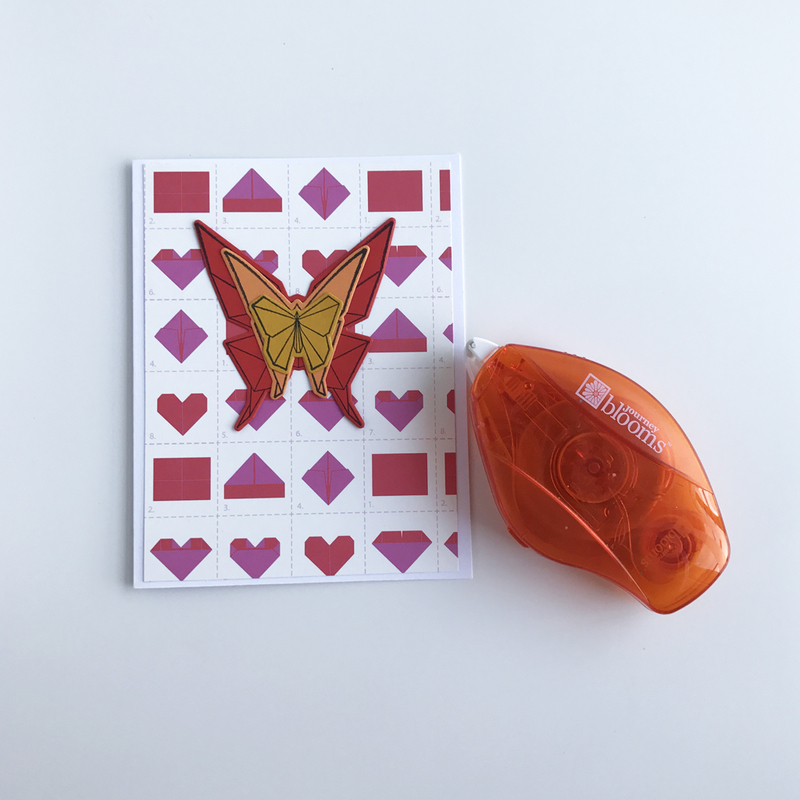 Use the Amaze machine to cut a butterfly 'window' on the card. 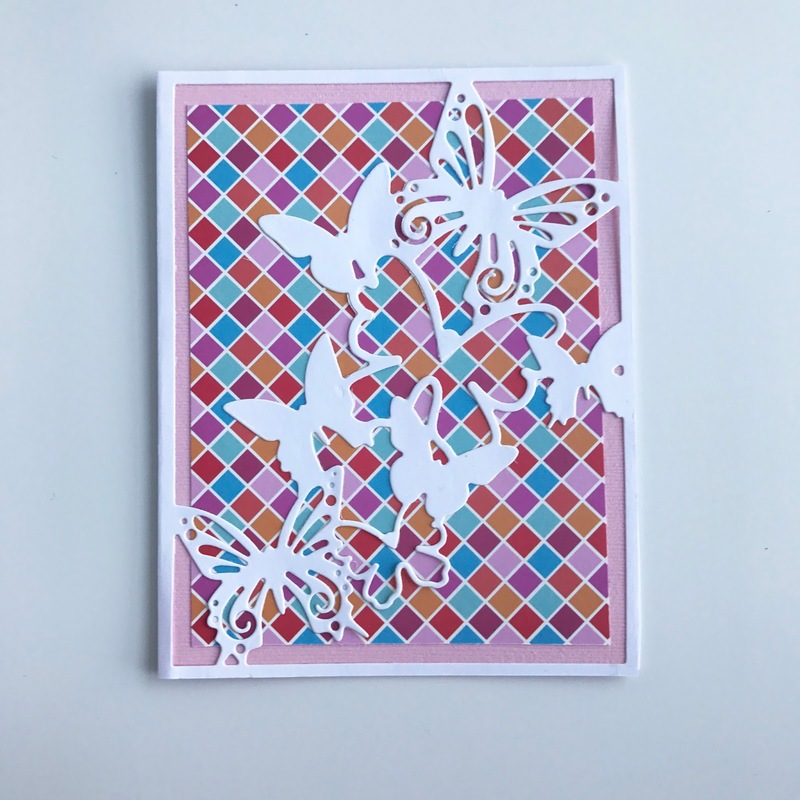 Trim Cotton Candy cardstock to 4.25" x 5.5". 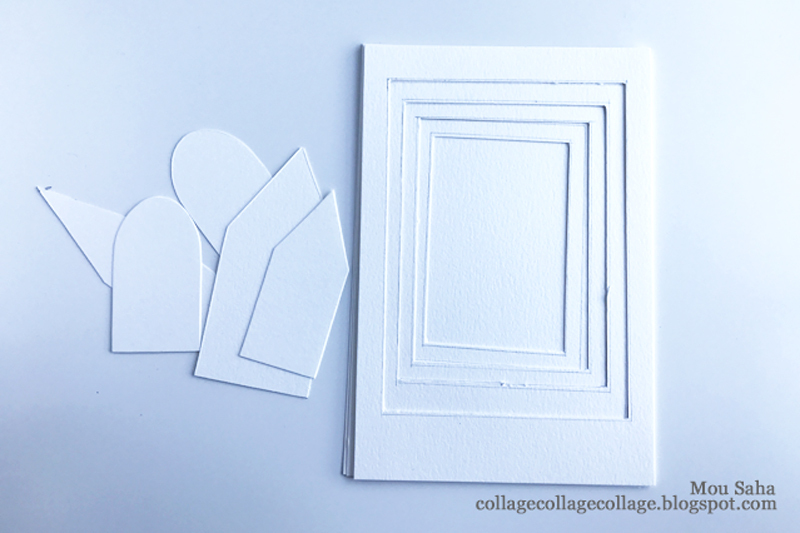 Trim print paper to 4" x 5.25". Attach printed paper block to cardstock block. 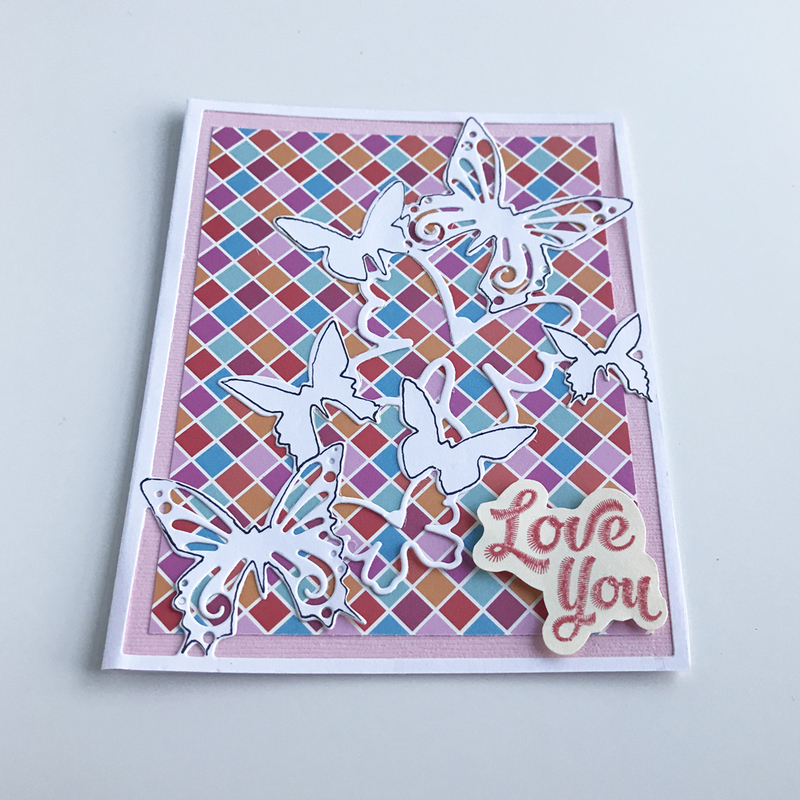 Attach the whole thing behind the butterfly window of the card using Journey Glaze. 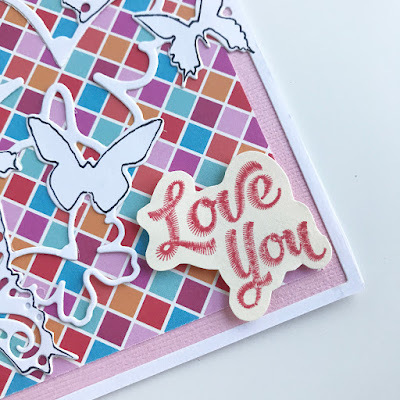 Stamp 'Love You' with Candy Apple ink on Butter Cream cardstock. 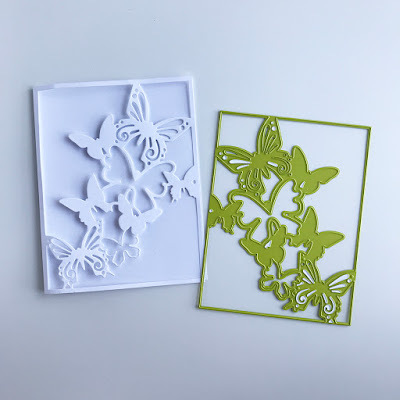 Cut out with scissors and attach to card with Journey Foam Squares. 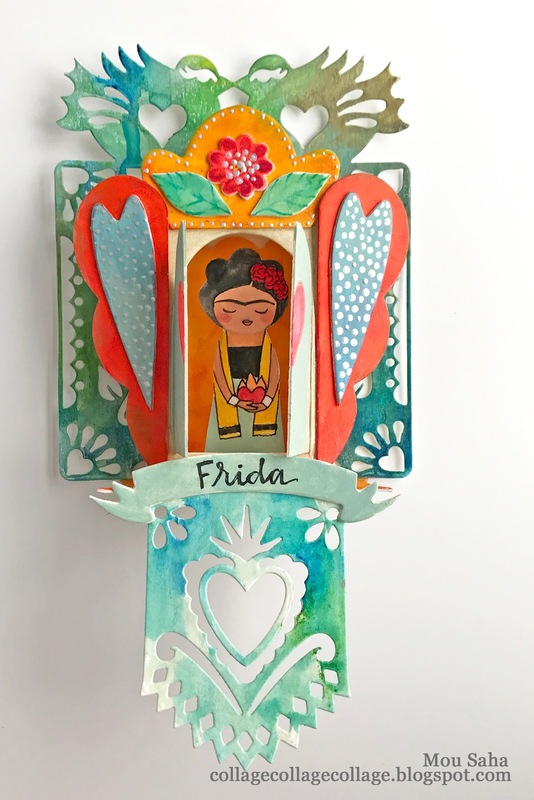 This little heart shrine made with Crafty Chica's Sizzix dies is dedicated to Frida Kahlo. It now adorns the gallery wall I have in my studio. 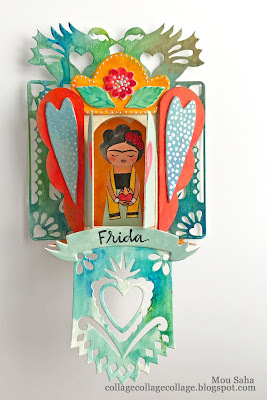 Follow this link to the Sizzix blog for a tutorial to see how I made it! 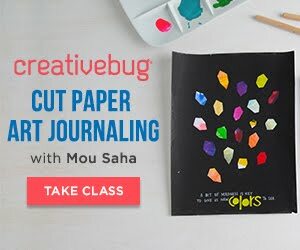 The fact that I LOVE patterned papers is evident everywhere in my studio, actually my whole house. Look and you'll find stacks stashed away in bins, on shelves, and under-the-bed boxes!!! 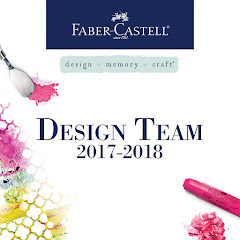 While I absolutely love having them around, they pose a decision challenge when I actually go to create...sometimes I JUST CAN"T CHOOSE! 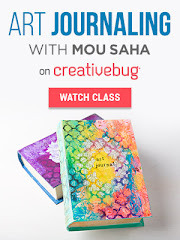 If you are the same way, you might find an easy answer/reminder in this video tutorial. 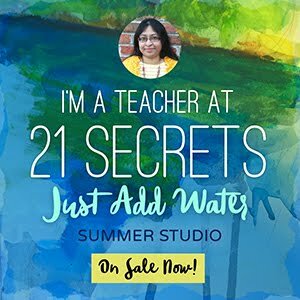 It is a SUPER-SIMPLE-could-not-get-any-easier-than-this technique. 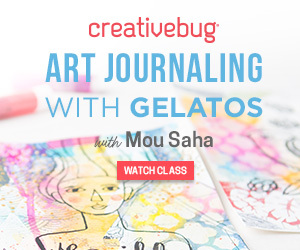 And here's the video tutorial for you. 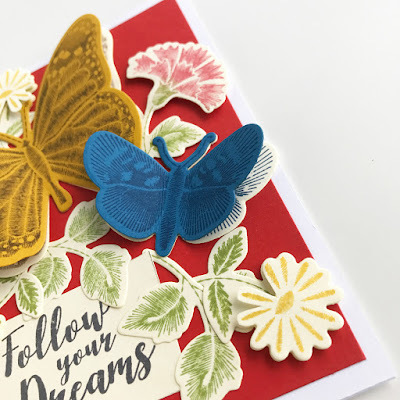 Who doesn't love a beautiful nature-inspired encouragement card! 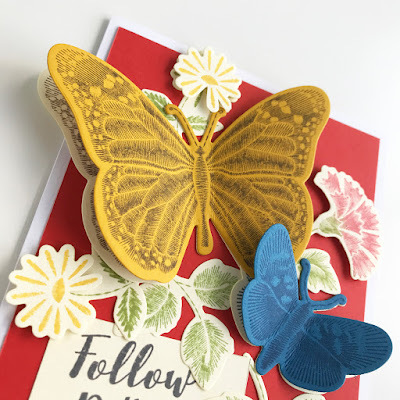 If you wish to make one like the card above, follow along. Let's start by looking at the supplies. 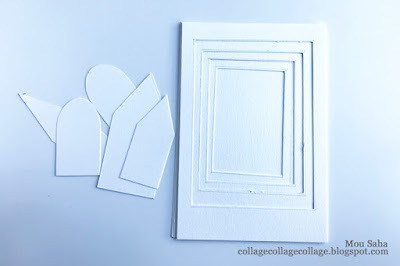 Start by stamping the images on cardstock. Die-cut the stamped images using Amaze machine along with the corresponding dies. 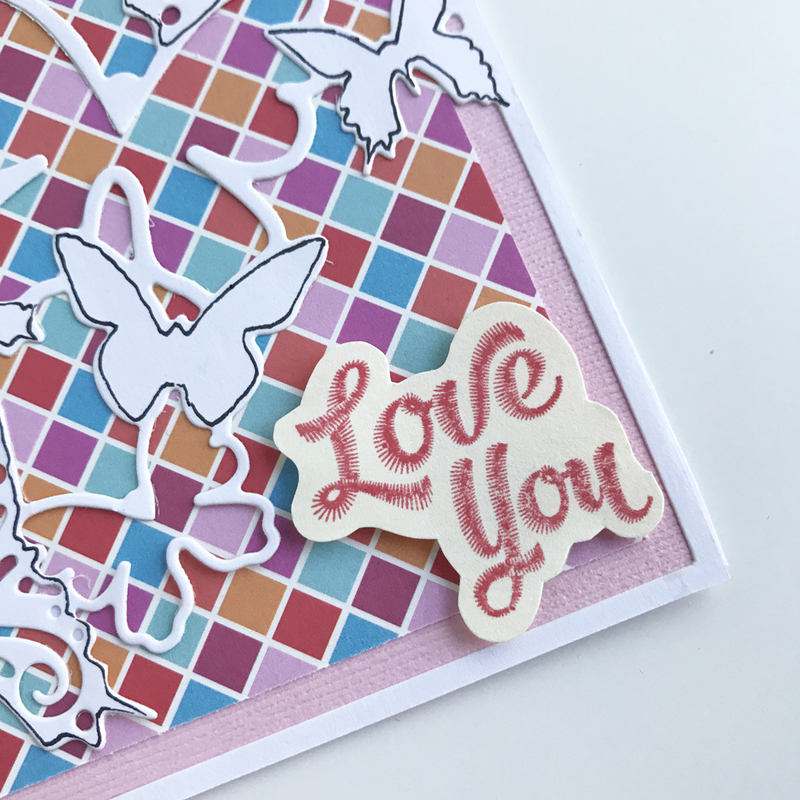 Layer the die-cuts together to create dimensional embellishments. Trim Whip Cream cardstock to 8.5" x 5.5". 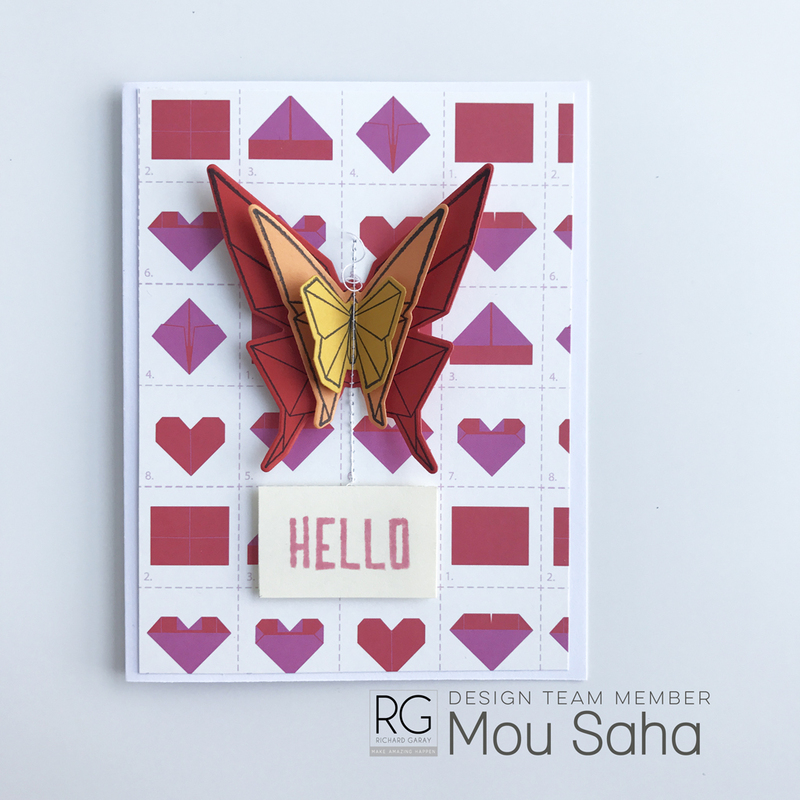 Fold in half to make 4.25" x 5.5" card. Trim Candy Apple cardstock to 4" x 5.25". 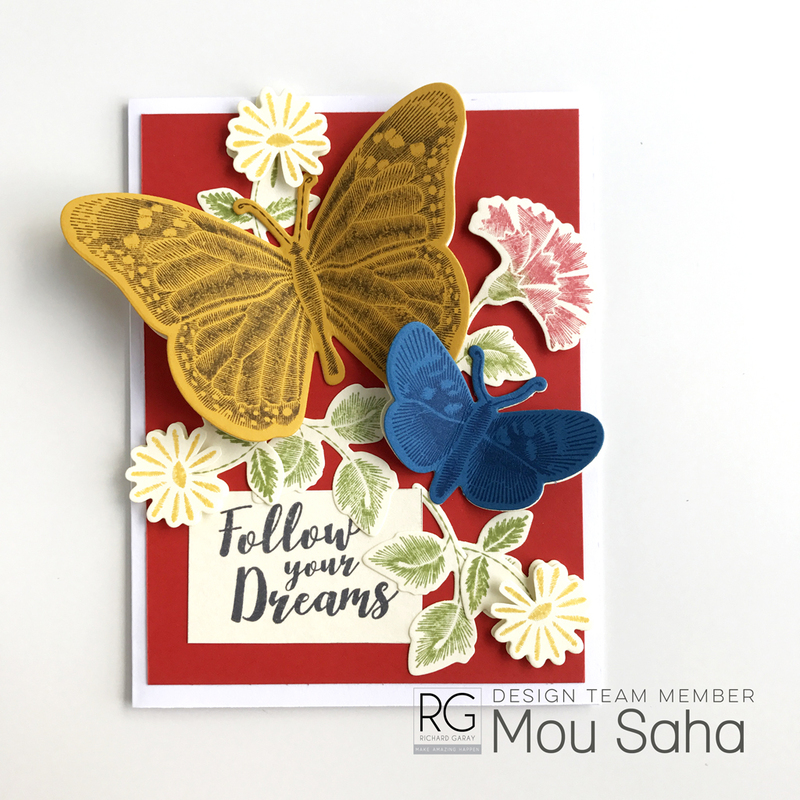 Attach to card. 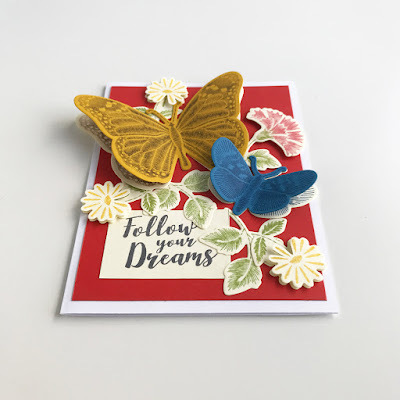 Arrange the butterflies and flowers on the card. 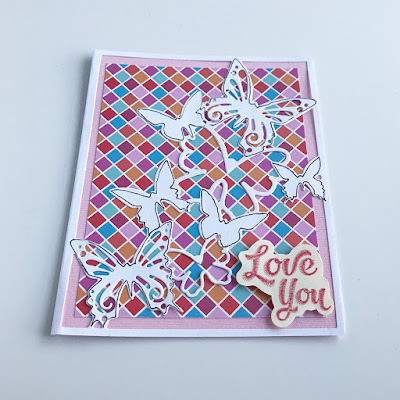 Add the sentiment block to finish the card. 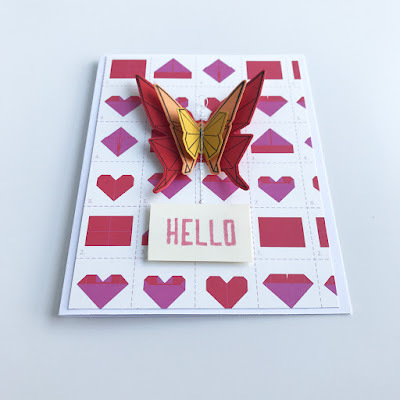 Card Tutorial: Hello Origami Butterflies! 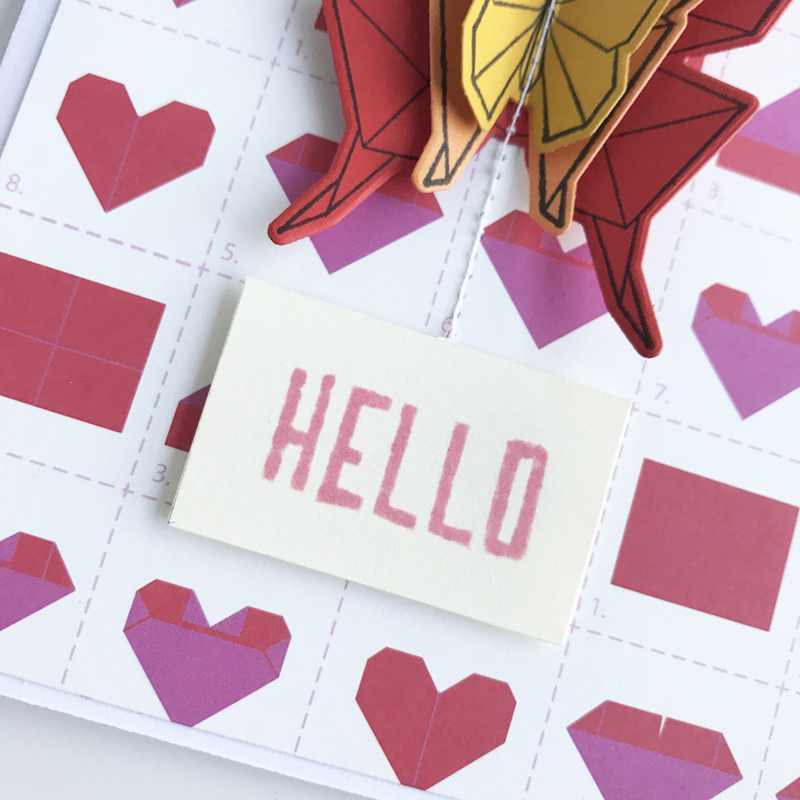 Origami has long been one of my paper crafting favorites. No wonder I'm loving the origami trend in crafting and home decor these days. 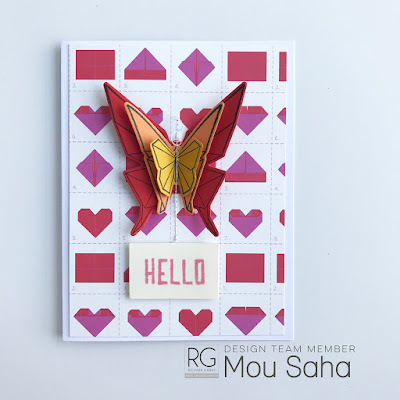 One collection inspired by origami is Origami Love by Richard Garay. From papers to stamps to dies, this collection has a lot of fun elements to love. 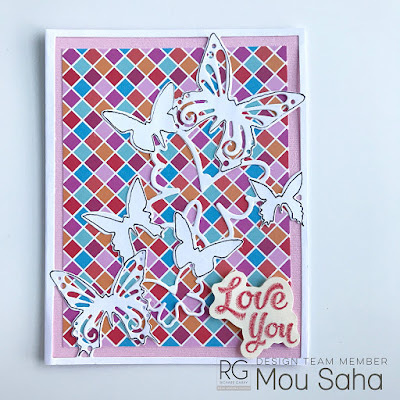 That's also the collection I used to make the butterfly card above. 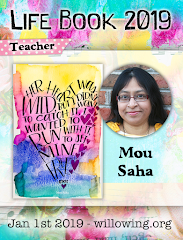 If you wish to make this card, follow along. Let's start by looking at the supplies. 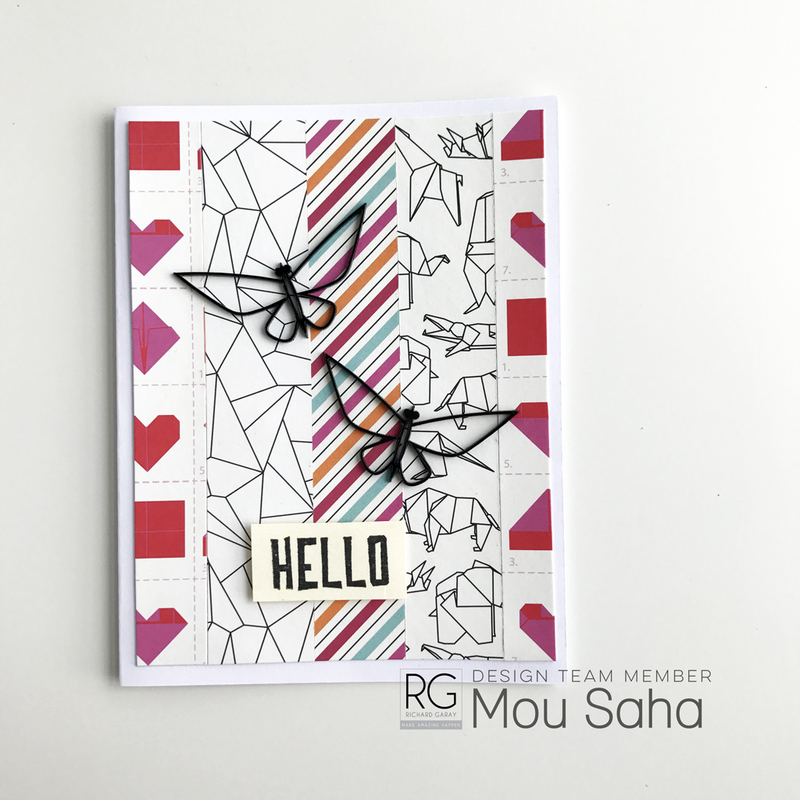 Stamp the butterflies on cardstock using the Hello Butterfly Stamp/Die Set and Berry Black ink. Die-cut the stamped butterflies using Amaze machine. 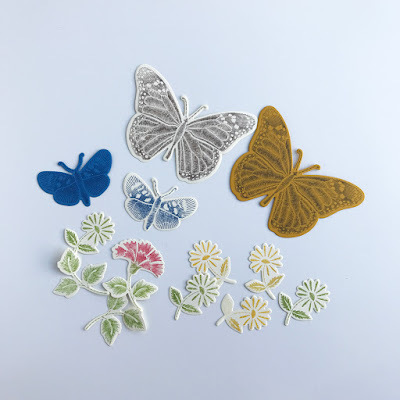 Stack the butterflies as shown. 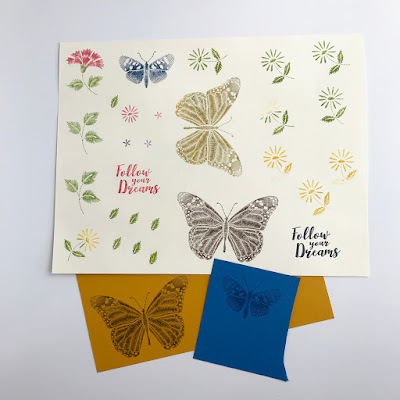 Trim print paper to 4" x 5.25". Attach to card. 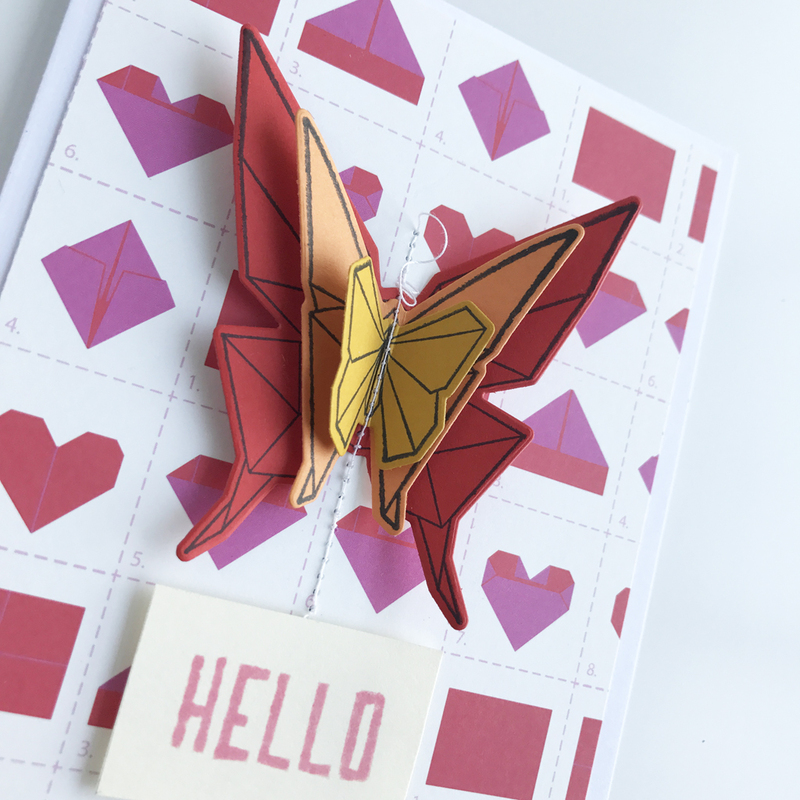 Attach the stacked butterflies to the card, leaving the wings free. 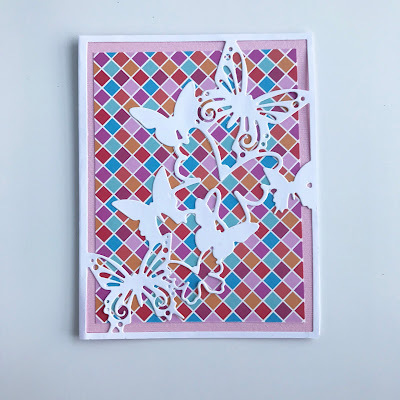 Machine stitch down the middle of the stacked butterflies. Sculpt the wings with your fingers as shown. 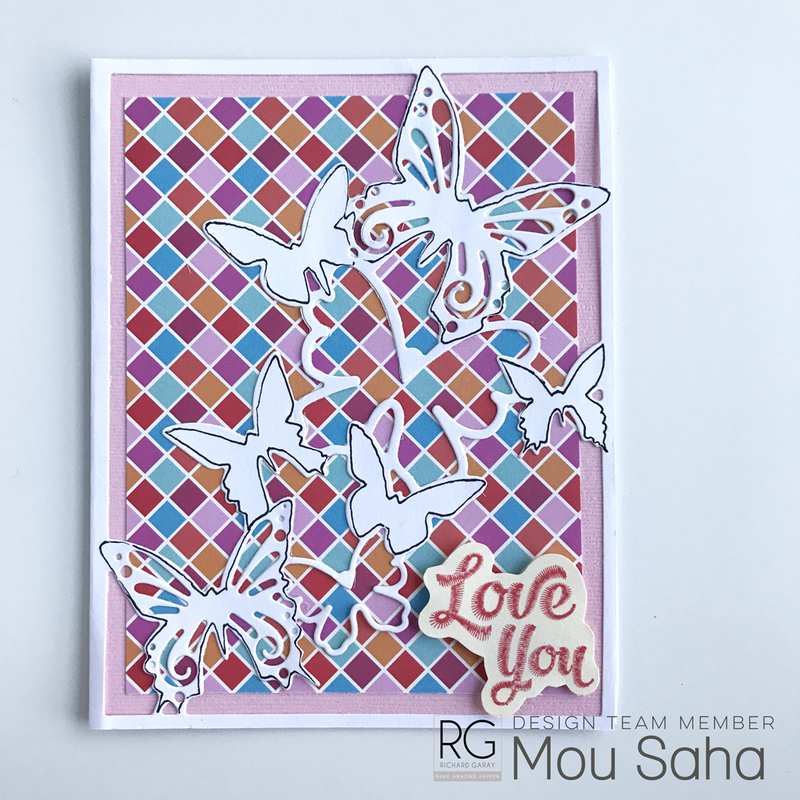 Stamp the sentiment and cut the block with scissors. Mount to the card. This sweater weather and all the craft pumpkins in the stores have put me in the mood for some Fall crafting of my own! And Halloween is the most fun Fall festival for me. 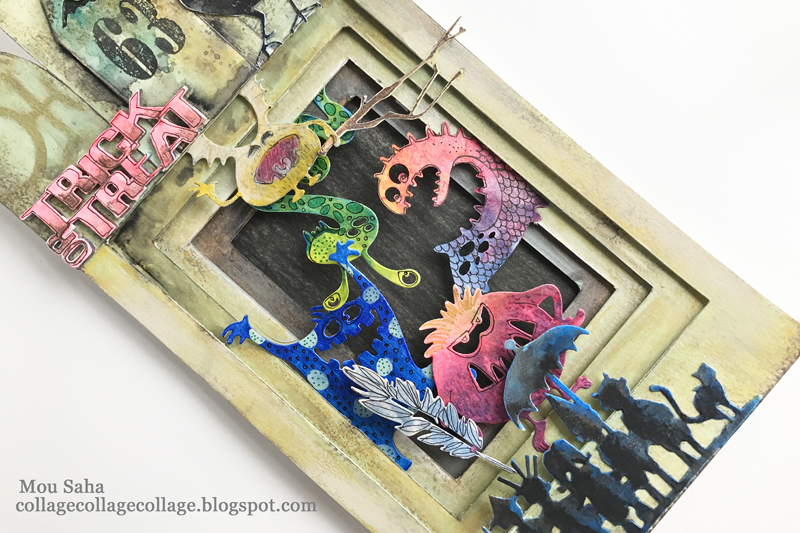 So, here's a little Halloween diorama, or may I say, die-o-rama using Tim Holtz's newest 'frighteningly fun' dies for Sizzix. 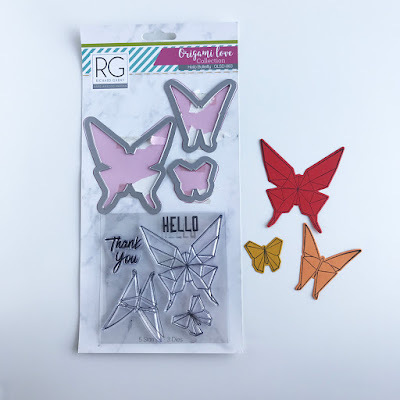 To diecut the above shapes, create the following Sizzix Sandwich - on a Sizzix Accessory Magnetic Platform For Wafer-Thin Dies, lay another Sizzix Accessory - Cutting Pads, Standard, 1 Pair (Purple w/Silver Glitter). 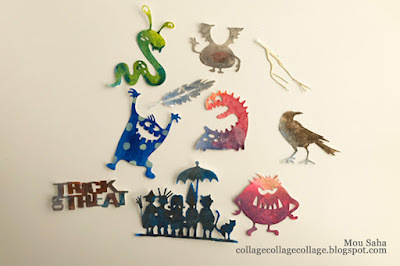 On it, place a piece of water color paper and on it lay out the Silly Monsters, Feather and Raven, and Trick-or-Treat dies blade side down. Cover with the other Standard Cutting Pad. 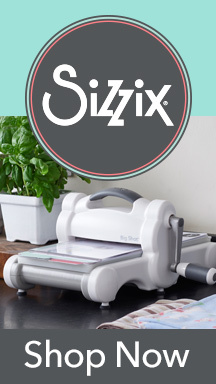 Pass the whole Sizzix Sandwich through the Sizzix Big Shot machine. Die cut Artful Dwellings by placing paper on the blade side of the die and sandwiching the set between a pair of Standard Cutting Pads and passing the whole Sizzix Sandwich through the Big Shot machine. 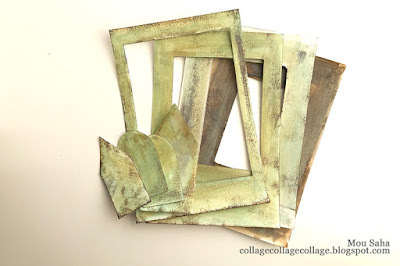 Trim five pieces of watercolor paper to 9" x 6". Cut out a window from each piece, reducing each subsequent window by about half an inch all around. When you stack these papers, the windows should line up to look like a tunnel. 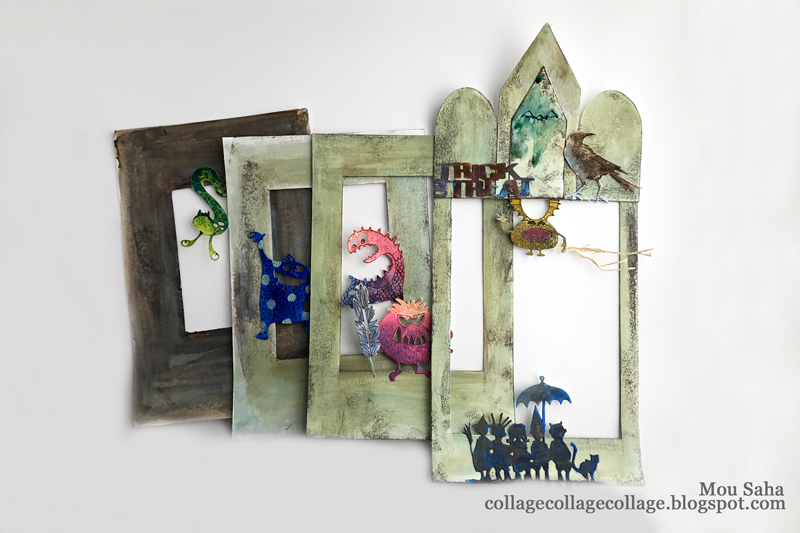 Color the die-cuts and window frames using Gelatos colors and watercolor pencils. Add details to them with PITT pen. Attach the die-cuts to the windows as shown to create a fun arrangement that tells a story. 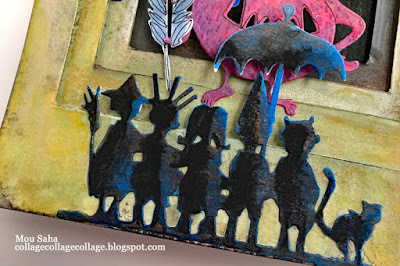 Attach the Artful dwellings diecuts to create a roof line. Stamp a house number. Add the raven to make it a bit sinister. 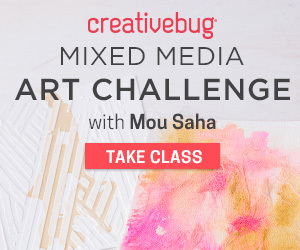 Now, you get creative! 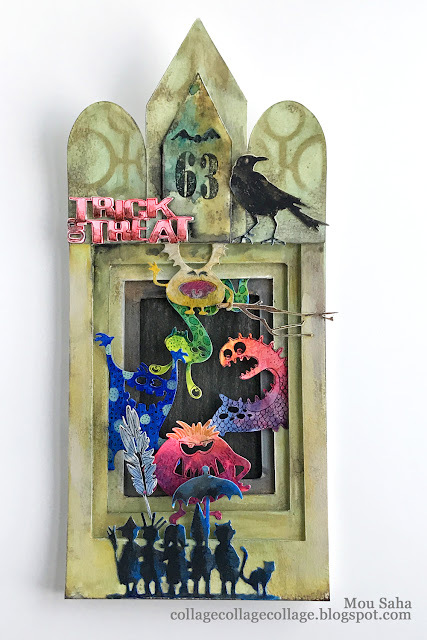 I put the feather in the hand of the big fat red monster on the front step and the tree branch in the hand of the batty monster hanging from the ceiling. 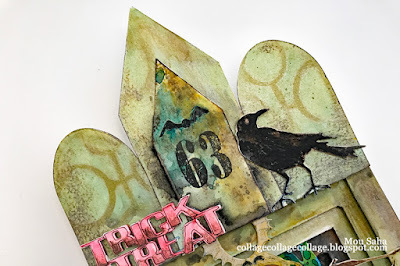 Can you imagine if you were tickled with a feather or had a tree branch dangled menacingly over your head while you were trick-or-treating??? And yet...look at those brave little kids that still dared to stand their ground and not leave till they got their candies! The monsters were more silly than scary after all! 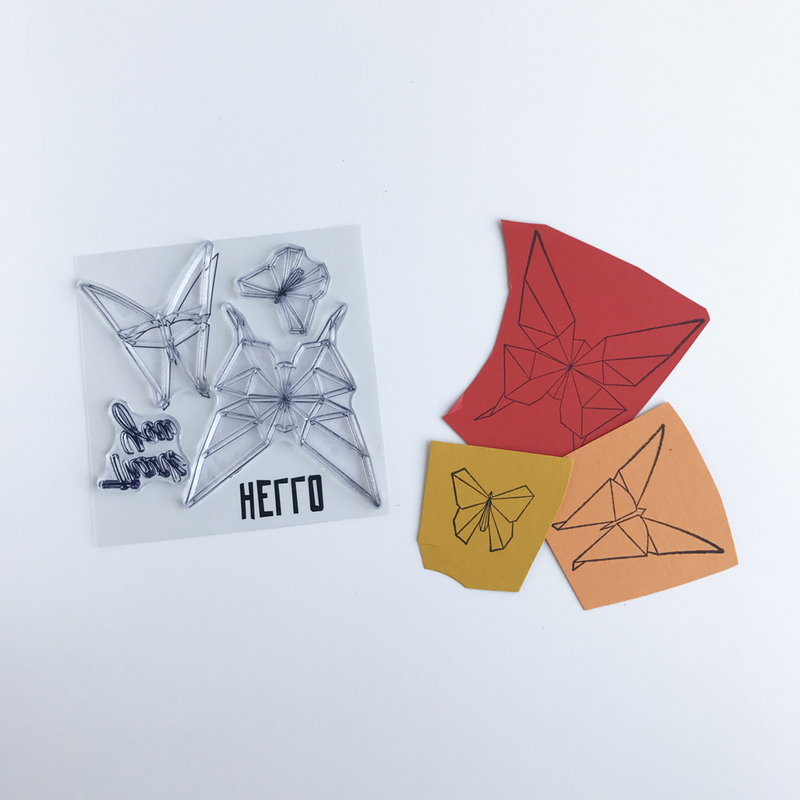 Have FUN with these dies. 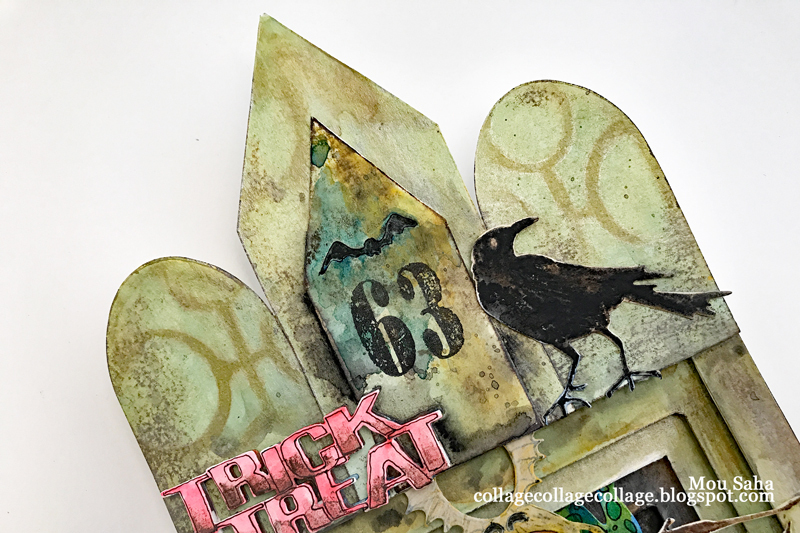 Tell your own Halloween story! 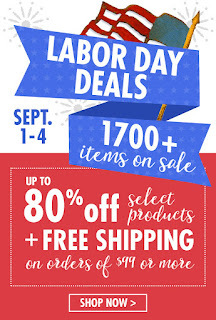 HUGE LABOR DAY SALE going on right now! 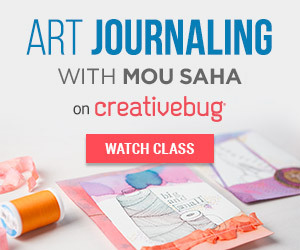 Note: I am a project designer for Sizzix. Sizzix provided me with the above dies to create the above project. 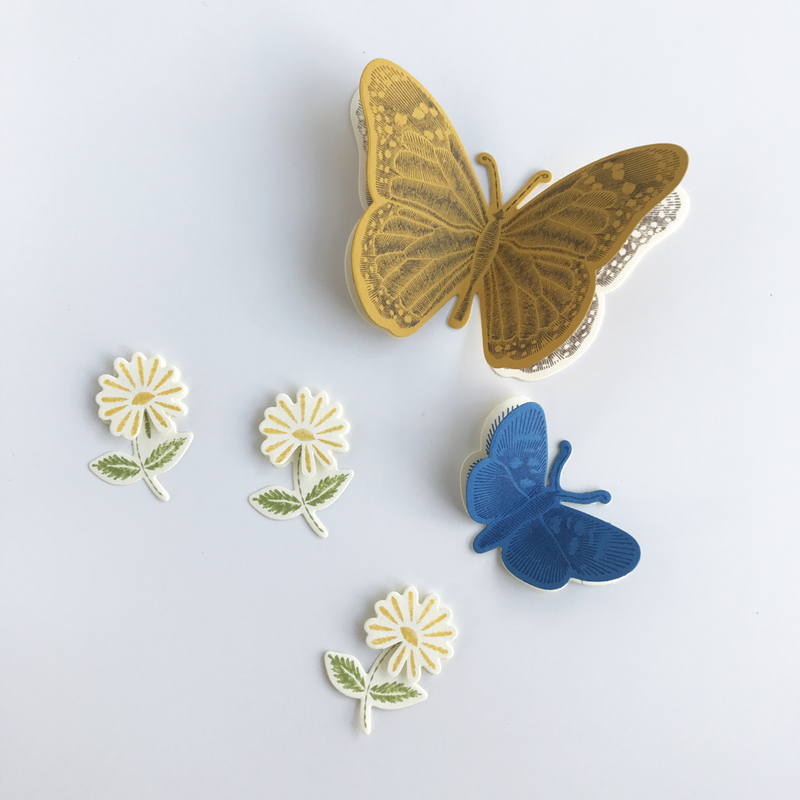 If you click the links to buy these dies, I will earn an itsy bitsy portion of the sale. 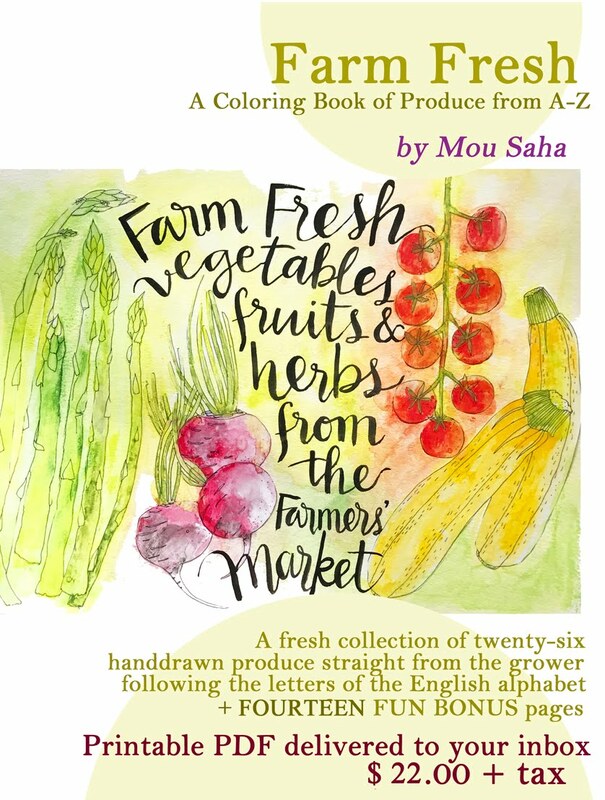 Use the code SZB2015 at checkout. 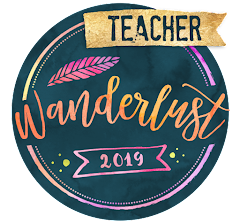 You get 15% off and I get an itsy bitsy portion of the sale. It's win-win!